3. The power of refusing to be a party to injustice, as illustrated by boycotts and strikes” (Laue, 1989). 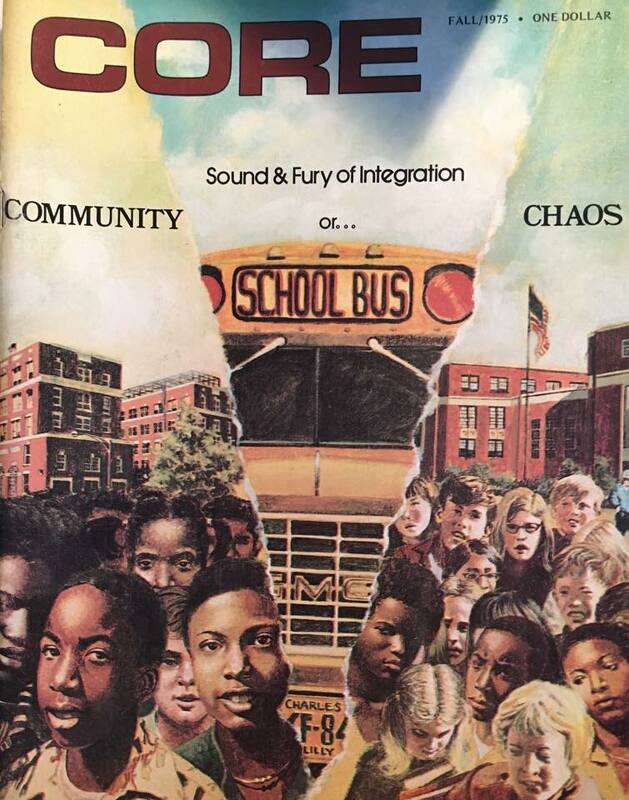 During this time, CORE was only national group working through direct action full-time to abolish segregation, and most of their tools for change centered around sit-ins, stand-ins, and wade-ins. Before 1960, CORE had fewer than 20 local chapters, but by 1961, the number doubled (Laue, 1989). CORE’s first order of business was a sit-in at a coffee shop in Chicago in 1942, protesting public segregation. Even at its genesis, CORE was recognized as a significant player in desegregating the north. CORE shifted its focus to the south after southern states refused to acknowledge the U.S. Supreme Court’s 1946 declaration that segregated seating on interstate buses was unconstitutional. Thus, CORE organized the Journey of Reconciliation, the precursor to the 1961 Freedom Rides (Editors of Encyclopedia Britannica, n.d.; The King Center, n.d.). During the late 1950s, CORE continued its anti-segregation work and began to organize voter registration drives for African Americans. During this time, CORE was recognized as one of the most powerful organizations leading the civil rights movement, its prime achievements are noted as the Freedom Rides of 1961 and the Freedom Summer Project of 1964 (Editors of Encyclopedia Britannica, n.d.). Furthermore, many CORE members traveled to Alabama for the Montgomery bus boycott and to meet Dr. Martin Luther King. Throughout the boycott, CORE publicized King’s work and messages, and in October 1957, Dr. King joined CORE’s Advisory Committee. King and his organization, the SCLC, became increasingly involved with CORE, including the 1959 and 1960 Prayer Pilgrimage for Public Schools, the Voter Education Project, and the Chicago Campaign (The King Center, n.d.). CORE also co-sponsored the 1963 March on Washington (Congress of Racial Equality, 2014). Though CORE sought to hold peaceful, nonviolent protests, they were often met with white rage and violence, with CORE members being assaulted, teargassed, jailed, and even killed (Editors of Encyclopedia Britannica, n.d.). 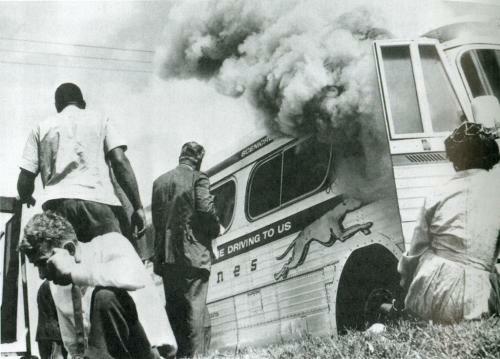 For example, during one of the Freedom Rides traveling through Anniston, Alabama, one bus was firebombed, and those who escaped the bus were met by an angry white mob. Though King supported the Rides, he felt they were too dangerous to join (The King Center, n.d.). However, this violent reception gave CORE more national publicity that ever before, resulting in more income, donations, and recruiting potential (Laue, 1989). Photo: Creative Commons Attribution-Share Alike 4.0 International License. After three CORE members, James Chaney, Andrew Goodman, and Michael Schwerner, were murdered during the 1964 Mississippi Freedom Summer, many of CORE’s new members began to advocate for more militant measures (Congress of Racial Equality, 2014). Furthermore, the failure of white liberals to support the Mississippi Freedom Democratic party resulted in CORE rejecting not only nonviolence, but also integration and interracialism. James Farmer stepped down as national director and was replaced by Floyd McKissick. McKissick, inspired by Malcolm X, was far more popular with the black community and called for “Black Power” (Congress of Racial Equality, 2014; Newman, 2004). While Black Power was the cornerstone of a resurgence of black nationalism, boosting black pride, consciousness, and identity, it inspired little political success by dividing the national civil rights coalition, alienating white supporters, and exasperating many white people’s anger and hatred of racial equality (Newman, 2004). 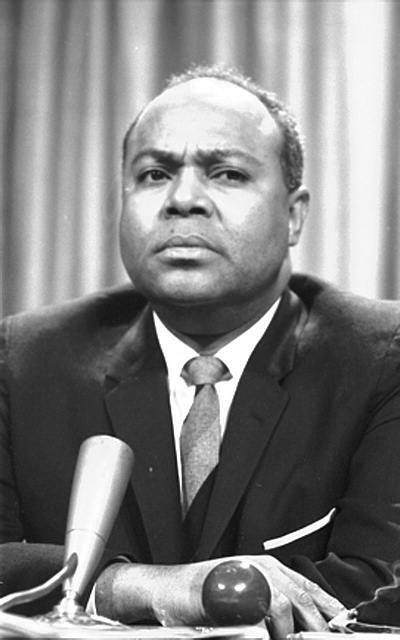 In 1968, Roy Innis became CORE’s national director. Innis drew some criticism; though he described his political tactics as pragmatic, others viewed them as too conservative and sympathetic to big business (Editors of Encyclopedia Britannica, n.d.). By the 21st century, CORE’s primary focuses included worker training, equal employment opportunity, crime victim assistance, and community-oriented crisis intervention (Editors of Encyclopedia Britannica, n.d.). “The Civil Rights Act of 1964: A Long Struggle for Freedom,” Core Voter Registration in Louisiana, courtesy Thirteen Productions LLC, WNET. Laue, J. H. (1989). 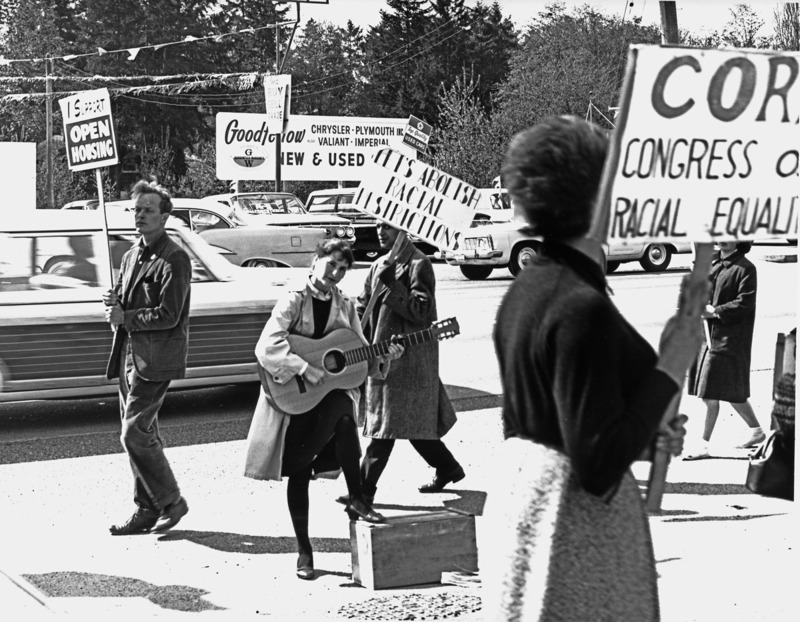 Direct action and desegregation, 1969-1962. Carlson Publishing: Brooklyn, NY. Meier, A. & Rudwick, E. (1973). CORE: A study in the Civil Rights Movement, 1942-1968. New York, NY: Oxford University Press. Newman, M. (2004). The Civil Rights Movement. Praeger Publishers: Westport, CT.
Wilson, J. J. (2013). Civil Rights Movement. Santa Barbara, CA: Greenwood.